Theta on the left, smaller Lambda on the right. Recently been learning about the pre-Lambda Lancias. 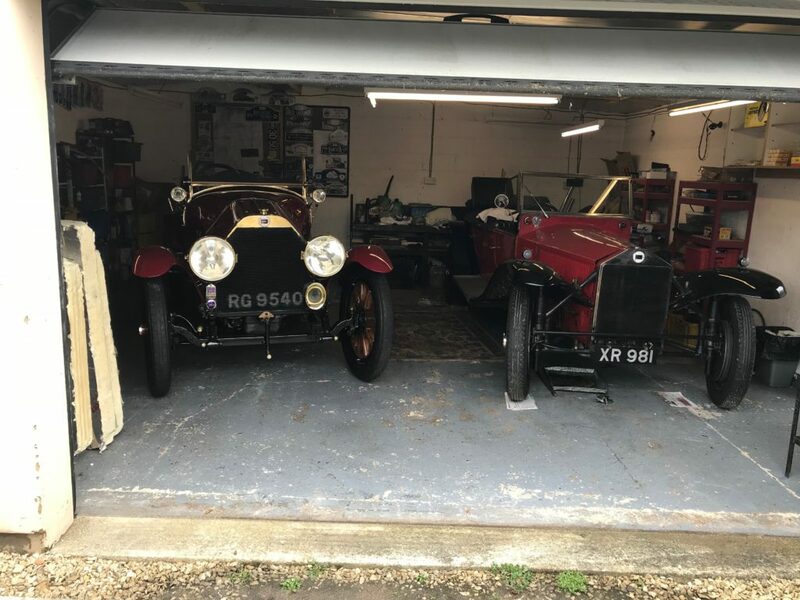 Several friends have been patiently helping , most notably Roland Grazebrook in England, who has been involved with the early cars for over 30 years. A recent visit to England/Wales involved a ride in a 1917 Theta, learning about the early Lancia-designed and made carburetors, and seeing likely the only Zeta engine in existence, the leftover of this most unusual car made c. 1912. Also to be unravelled is the story of the SGV cars. There are a couple in a museum outside of Philadelphia (any volunteers for a photo trip?). Made of Lancia components, c. 1910-12, but marketed in the US, their story is still a bit unclear, but they are an early example of Lancia’s expansive outlook, outside of Italy. In fact, that story involves not only early distribution in the US (from 1908) but the likely publication the first Lancia road test in England in 1907, just as the company began making cars. Lancia was fully interested in the international markets from the very beginning. For now, work is focusing on identifying the development path for these early cars, the aero engines, and extensive patent work, all which lead up to the Lambda breakthrough in 1922. Its a story full of many twists and turns, but when seen all together, reveals a mind exploring in several directions in a very short time. The amount of innovation and exploration at Lancia (from 1907-1915) makes the head spin. Its sets the tone for the company, and makes the constant changes in the 1950s simply a part of this ongoing family story. 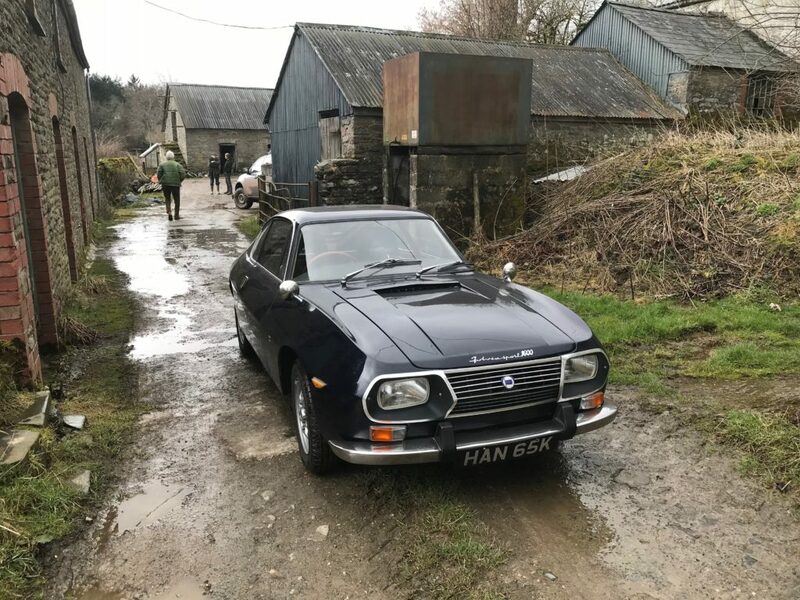 visiting Ron Francis’s farm in Wales in style. So please bear with this dive into early history. Long term plans are to integrate this with a larger overview of the developments in Lancia engineering over their first 60 years.